Lithium Australia NL plans to help double Envirostream Australia Pty Ltd.’s lithium-ion battery shredding capacity after acquiring an 18.9% stake in the company, according to Lithium Australia Managing Director Adrian Griffin, who said the aim is to provide feed for Lithium Australia’s recently recommissioned cathode pilot plant in Brisbane, Australia. Rock sampling at the Youanmi project has identified values of up to 4.2% lithium oxide, with anomalous caesium and tantalum also present. 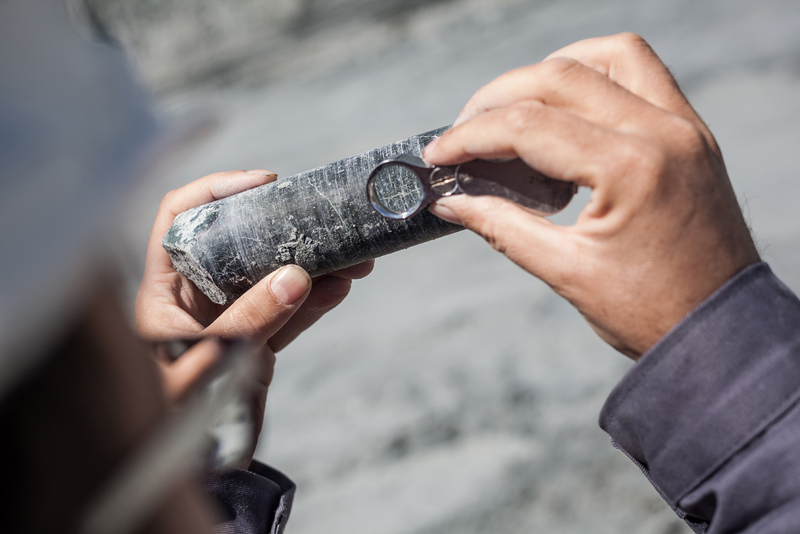 Disruptive battery technology developer Lithium Australia (ASX: LIT) is planning a drilling campaign at its Youanmi project in Western Australia after field work confirmed the presence of lepidolite-bearing pegmatites. Lithium Australia will be shipping its lithium-iron phosphate cathode material to Chinese battery manufacturers for testing. Lithium Australia (ASX: LIT) is about to ship its technologically advanced lithium-iron phosphate cathode powders to China after producing the material through its recently commissioned VSPC plant in Queensland. Lithium Australia has reported “outstanding results” from the first stage of its SiLeach pilot plant trial using lepidolite concentrate as a feedstock. Lithium Australia (ASX: LIT) has reported “outstanding results” from the first stage of its SiLeach pilot plant trial at ANSTO Minerals’ facility in New South Wales. Lithium Australia looks to fuel Europe’s accelerating electric vehicle market with its polymetallic Sadisdorf project in Germany. Drilling at Lithium Australia’s (ASX: LIT) Sadisdorf project in Germany has revealed lithium-mica intersections up to 78.51m thick, on what the company refers to as “the doorstep” of Europe’s accelerating electric vehicle industry. Lithium Australia’s subsidiary VSPC can produce lithium-ion cathode material from expired lithium-ion batteries. Lithium Australia’s (ASX: LIT) subsidiary VSPC (formerly the Very Small Particle Company) has recommissioned its Brisbane-based pilot plant and produced its first proprietary lithium-iron-phosphate commercial samples for testing in lithium-ion battery cathodes. Pegmatite exposed within the walls of the Lepidolite Hill quarry, 520 km east of Perth, Western Australia. Lithium Australia (ASX: LIT) has begun assessing suitable lithium feed sources to meet requirements for its pilot plant’s first year of operations once it has been recommissioned. Lithium Australia NL (ASX:LIT) managing director Adrian Griffin speaks to Proactive Investors about development of the company’s wholly-owned Sadisdorf Lithium-Tin Project in Germany. Significant progress has been made with the proprietary SiLeach® process, which boosts the potential of the project and may enhance opportunity internationally. Griffin also describes recent shifts in European energy policy and trends that reflect favourably for the integrated lithium producer. Adrian Griffin, managing director of Lithium Australia NL (ASX:LIT), provides Proactive Investors with an overview of progress made throughout 2018 towards the company’s stated strategic goal of closing the loop on lithium supply. Topics of discussion include exploration projects, the acquisition of VSPC Ltd and development of the SiLeach® process for extracting lithium chemicals from mica, the production of both cathode and anode powders, development of the LieNA lithium extraction from spodumene process, and recycling works. Lithium Australia NL (ASX:LIT) managing director Adrian Griffin speaks to Proactive Investors about the company’s recent world first; producing lithium-ion batteries using cathode powder made from lithium-iron-phosphate material derived from mine waste using the proprietary SiLeach® process. This latest achievement demonstrates Lithium Australia’s strategy of ‘closing the loop’ on the lithium value chain. Lithium Australia’s (ASX:LIT) managing director Adrian Griffin tells Proactive London’s Andrew Scott they’ve achieved a lithium recovery of +90% using their SiLeach process at the ANSTO Minerals pilot plant in New South Wales. Lithium Australia NL (ASX:LIT) managing director Adrian Griffin speaks to Proactive Investors about the recent grand reopening of Australia’s only cathode powder pilot plant and battery-testing facility, in Brisbane, Queensland. Adrian Griffin, managing director of Lithium Australia NL (ASX:LIT), speaks to Proactive Investors about the two-stage SiLeach® pilot plant trial at ANSTO Minerals. SiLeach® is a proprietary process for extracting lithium from mine waste materials to produce lithium chemicals. In a world first, Lithium Australia aims to convert mine waste to lithium-ion batteries. Griffin describes Stage I results as ‘spectacular.’ Proactive Investors can reveal that Stage II testing began two days ago, producing lithium phosphate within 16 hours of starting up. 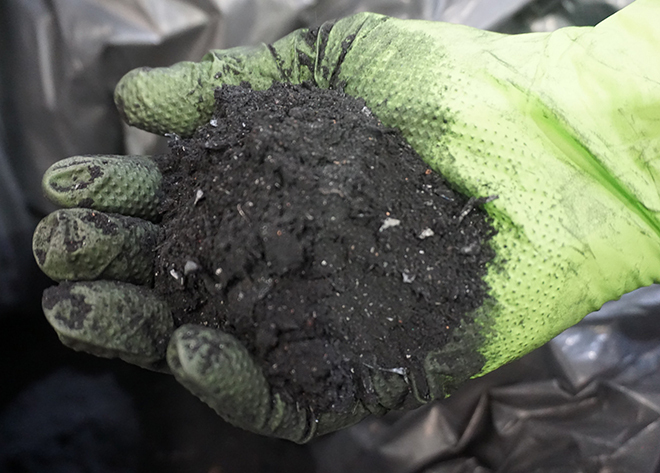 With its recent breakthrough production of lithium-ion battery cathode powders from waste mica minerals sourced from Kalgoorlie, Lithium Australia is now eyeing similar micas in Europe. ASX listed Lithium Australia has confirmed very wide intersections of lithium mineralisation from its maiden drill program at the Sadisdorf project in far east Germany, where it shares a border with the Czech Republic. 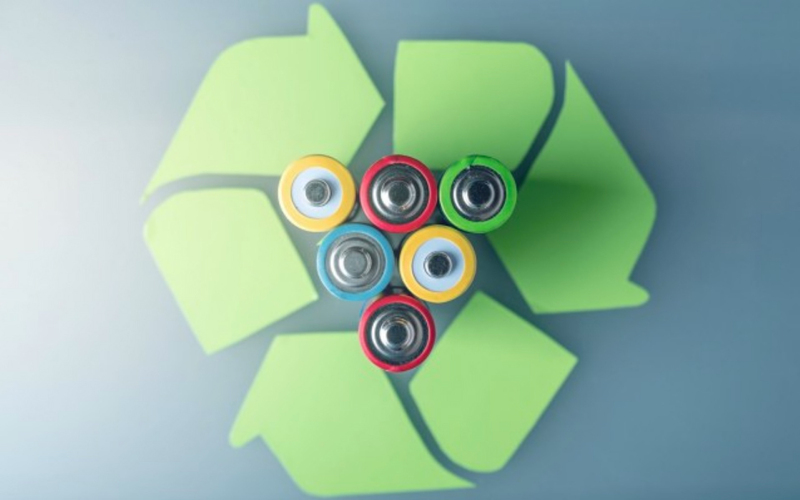 We sat down with Lithium Australia Managing Director, Adrian Griffin, to talk about how Lithium Australia does its best to create a circular economy, and convert waste materials to lithium ion batteries. Economically recovering lithium from mine waste without expensive and energy hungry “roasting” of the feed stock may seem like a lofty goal, but Lithium Australia is now well on its way towards proving that its proprietary SiLeach technology can do just that. Lithium Australia has brought back online Australia’s only lithium-cathode pilot plant and battery testing facility with a stern word of advice to governments to pick up their game if we are to have a future in the lithium market. Lithium Australia’s (ASX:LIT) managing director Adrian Griffin is calling for high-end political backing for Australia’s own “Lithium Valley”. Interview with managing director, Adrian Griffin to discuss the successful production of Li-ION batteries from mine waste. Resources Roadhouse: Mooted tax changes threaten emerging miners. Wally Graham discusses proposed changes to the Research and Development Tax Incentive that threatens to hinder emerging miners. When it comes to global gold production, Western Australia’s prestigious goldfields rank second after China. By way of contrast, WA is now the world’s largest lithium producer, given the state’s “lithium fields”. These host abundant pegmatites, many of which contain lithium micas – which have long been considered waste by the mining industry. 23 July 2018 – Proactive Investors AustraliaLithium Australia (ASX:LIT) is a processing technology business with one of its major projects in Germany. The company has also been working on a lithium-ion cathode production facility, entitled the Very Small Particle Company, which has just started producing lithium-ion phosphate. Western Australia’s opportunity to carve out a larger share of the $213bn lithium-based battery value chain could be under threat by federal Government moves to change the existing research and development grants and rebates system in its latest Budget. Lithium Australia (ASX:LIT) will, subject to regulatory requirements, acquire 100% of the Sadisdorf lithium/tin resource from Tin International AG. Consultant CSA Global has estimated that the Sadisdorf Project has an Inferred Mineral Resource of 25 million tonnes grading 0.45% Li2O¹. Significantly the lithium is contained within lithium micas within alteration around tin mineralization, the latter being the subject of historic mining. The lithium micas can be readily concentrated after the removal of tin by conventional gravity separation. Lithium has been very successfully extracted from Sadisdorf mica concentrates using LIT’s SiLeach® process. Adrian Griffin, managing director of Lithium Australia NL (ASX:LIT), speaks to Proactive Investors about the integrated battery metal producer’s proprietary SiLeach® lithium processing technology. Last week the company applied for two global patents relating to the production and recovery of lithium phosphate and lithium sulphate from lithium-bearing silicates.The enhancements will reduce capital and operating costs and improve product quality. “For us it is the silver bullet because potentially it reduces capital costs and operating costs, so that’s quite significant. It also helps us produce a lithium chemical with a much higher purity; we can take the lithium through to carbonate or hydroxide, or as the phosphate as the case may be. And that step – removing the lithium as a phosphate – is not only a step that takes the lithium out of solution at lower concentrations, but also helps us to purify that solution as we do that process,” explains Griffin. Lithium Australia NL (ASX:LIT) managing director Adrian Griffin speaks to Proactive Investors about the integrated battery metal producer’s recently announced purchase of the Sadisdorf Lithium Tin Project in Saxony, Germany from Tin International AG. It was a farm-in and joint-venture with Tin International. The recent drilling that we’ve done does confirm the size of the deposit, and it’s open, so will grow… We’ve looked at the mineralogy, we know what the lithium distribution is, we’ve got access to underground workings so we’ve re-sampled much of that. So we can see the deposit in three dimensions, you can walk through it, and that gives you a lot of confidence. Not only that, we have produced lithium concentrate from it, and taken that right through to the extraction of lithium. So we see it as relatively low risk,” says Griffin. ASX listed Lithium Australia will file two additional patents over its chemical based SiLeach® lithium extraction process to lock up the process of recovering lithium without extensive evaporation. Lithium Australia NL (ASX:LIT) Managing Director Adrian Griffin tells Proactive Investors the lithium mining company is in New York for the 121 Mining Conference and has some exciting news regarding significant cobalt findings. Griffin says Lithium Australia had found extensive copper vein systems at their Eichigt project in Germany, discovering not only copper but lithium and cobalt within the vein. Griffin says the most recent samples have come up to about 1.5% cobalt, about 0.5% copper, and 0.7% lithium. Lithium Australia NL (ASX:LIT) managing director Adrian Griffin speaks to Proactive Investors about the integrated battery metal producer’s recent surprise discovery of cobalt at the Eichigt project, near its flagship resource at Sadisdorf in Saxony, Germany. “The style of mineralisation is quite interesting in that copper, cobalt, manganese and lithium doesn’t occur together in many mineral occurrences… we are of course on the doorstep of the EV industry in Europe, and that EV industry will have a requirement for a lot of cobalt over the next few decades, I would imagine, and beyond. So this gives us a very good exploration target to service those markets,” says Griffin. Lithium Australia NL (ASX:LIT) managing director Adrian Griffin explains the company’s innovative and integrated approach to producing the in-demand battery metal, which includes proprietary technologies for tailings processing and battery recycling. First-pass exploration by Lithium Australia at its 100%-owned Eichigt project in Germany has produced grab samples assaying at up to 0.6% cobalt from historic copper workings at the project. The Eichigt project is close to the company’s Sadisdorf lithium project also in Germany. Lithium Australia NL (ASX:LIT) this morning revealed the first results of its maiden exploration program at the Eichigt Project in Germany, confirming the presence of strong cobalt and copper mineralisation at surface. Lithium Australia NL (ASX: LIT) has identified lithium pegmatite swarms at the Medcalf lithium project. Lithium Australia NL (ASX: LIT) subsidiary, the Very Small Particle Company Ltd (VSPC), is making strong progress towards commercialisation of its patented battery cathode materials production technology. The Medcalf prospect adds to potential of the company’s Lake Johnson Lithium Project in the Yilgarn Block. THE DRILL SERGEANT: Lithium Australia (ASX: LIT) announced preliminary results of its first drilling campaign at the company’s Sadisdorf Joint Venture in Germany. Lithium Australia NL (ASX:LIT) has announced the preliminary results of its first drilling campaign at Sadisdorf, Germany. The project is a farm-in and JV with Tin International AG, a subsidiary of exchange listed Deutsche Rohstoff AG (FRA:DR0) as partner. Lithium Australia (ASX: LIT) is progressing front-end engineering and design (FEED) activities of its SiLeach plant design. 29 April 2018 – Business News | By Matt Birney. Lithium Australia will apply for an additional patent for its SiLeach, chemical based lithium extraction process after fine-tuning for a proposed large scale pilot plant led to a breakthrough improvement. THE BOURSE WHISPERER: Lithium Australia (ASX: LIT) reported on progress on construction of the company’s large-scale pilot plant (LSPP) to demonstrate its SiLeach® process at commercial scale. Lithium Australia (ASX:LIT) today provided an update on the progress of its cutting edge SiLeach® plant design. Tiger country; Lithium Australia’s new Moolyella lithium project in the Pilbara. 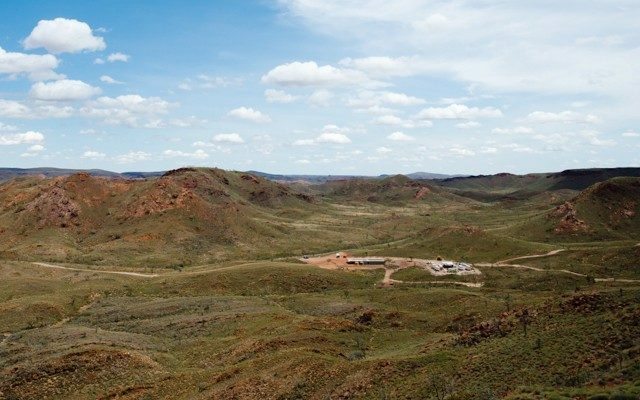 Lithium Australia has once again returned from the hunt for new lithium frontier projects, this time in tiger country in the Pilbara. Lithium Australia NL (ASX:LIT) today announced that it has acquired the Moolyella Lithium-Tin-Tantalum Project (EL 45/4766) in the Pilbara region of WA, about 1300km north-east of Perth. Lithium Australia NL (ASX: LIT) has finalised its acquisition of advanced cathode material production technology, acquiring 99.7% of the equity in Brisbane-based technology company the Very Small Particle Company (VSPC). Lithium Australia NL (ASX:LIT) has finalised its acquisition of advanced cathode material production technology, acquiring 99.7% of the equity in Brisbane-based technology company — the Very Small Particle Company (VSPC). Lithium Australia NL (ASX: LIT) is undertaking the final steps towards getting its large-scale pilot plant up and running. As the company finishes its front-end engineering and design studies, it is also assessing feed sources for the first 12 months of operation. Lithium Australia NL (ASX:LIT), a small-cap looking to mine lithium as well as establish a vertically integrated lithium processing business, is undertaking the final steps towards getting its large-scale pilot plant up and running. At this stage, as the company finishes its front-end engineering and design studies, it is also assessing feed sources for the first 12 months of operation. Lithium Australia NL (ASX: LIT) has received acceptances for 99.7% of the Very Small Particle Company’s (VSPC) issued capital. This comes 48 hours after LIT lodged formal documents for its takeover of the Brisbane based cathode powder producer, which has spent $30 million developing its production technology. Lithium Australia NL (ASX: LIT) has advanced its acquisition of Brisbane battery cathode developer, the Very Small Particle Company Ltd (VSPC), with LIT and major VSPC shareholders executing a binding share sale and purchase agreement. Lithium Australia NL (ASX:LIT) informed the market yesterday that it had received acceptances for 99.7% of the Very Small Particle Company’s (VSPC) issued capital. METALSTECH and Lithium Australia have edged closer to demerging various battery mineral assets. Lithium Australia NL (ASX:LIT) this morning announced that it is set to begin drilling at its Sadisdorf lithium project in Germany. UBS has lifted its expectations for global electric vehicle sales and upgraded its price forecasts for the battery commodities of lithium, graphite and nickel. Lithium Australia’s decision earlier this year to farm into an historic tin mine project with Lithium potential in Germany has proved to be an inspired one. Lithium Australia NL (ASX: LIT), one of the first mining companies to enter the burgeoning lithium space, aims to “close the loop on the energy metal cycle” and create a sustainable lithium future. Lithium Australia has confirmed the Very Small Particle Company process was capable of producing quality lithium iron phosphate cathode material. Lithium Australia’s proposed acquisition of a Brisbane-based Lithium-ion battery cathode developer known as the Very Small Particle Company or “VSPC”, has been boosted by news of strong test results from an independent laboratory in Germany. Lithium Australia are working on a range of financing options ahead of an anticipated green-light decision for a US$42m large scale pilot plant for their breakthrough Sileach Lithium processing technology. Lithium Australia (ASX:LIT) announced on Monday that it had completed due diligence in relation to the acquisition of advanced cathode material producer, the Very Small Particle Company (VSPC). The only remaining conditions regarding the acquisition are approvals from shareholders and regulators. Lithium Australia (ASX:LIT) has completed its due diligence for the acquisition of advanced cathode material producer, the Very Small Particle Company (VSPC). VSPC owns proprietary processes for the production of lithium ion battery cathode material, a comprehensive pilot plant, and an advanced laboratory and testing facilities. Lithium Australia NL is moving closer to the completion of due diligence on the proposed acquisition of Australian battery cathode developer Very Small Particle Co. Ltd. and the results are promising, according to Managing Director Adrian Griffin. 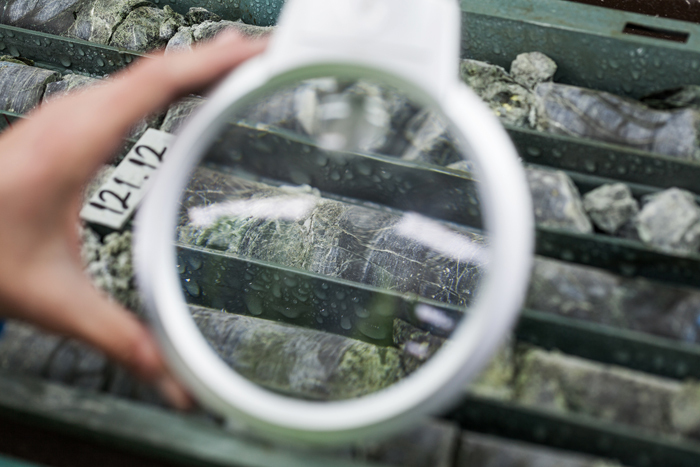 In what looks to be a perfect pairing, Lithium Australia and Poseidon Nickel have joined forces in a strategic deal that could see Lake Johnston emerge as a hub for the production of Lithium concentrates and downstream processing. Lithium Australia (ASX:LIT) has today announced that it has entered into a Memorandum of Understanding (MoU) with Poseidon Nickel (ASX:POS) to evaluate joint exploration and lithium processing opportunities at Lake Johnson and Ravensthorpe in southern WA. Lithium Australia NL (ASX: LIT) has entered into a proposed acquisition agreement to purchase a minimum 75% stake in Brisbane based battery cathode developer Very Small Particle Company (VSPC), a research and developer of some of the world’s most innovative and respected new era cathode materials for lithium-ion batteries. Electric cars are driving rapid mining investment in WA, with the state supplying most of the lithium needed to manufacture batteries worldwide. Was macht ein australisches Bergbauunternehmen mitten in der sächsischen Provinz? Im Fall von Lithium Australia NL (ASX: LIT; WKN: A14XX2; ISIN: AU000000LIT3) ist der Name Programm: Dank einer Kooperation mit einem Tochter-Unternehmen der Deutschen Rohstoff AG hat es die auf Lithium spezialisierte Gesellschaft nach Sadisdorf in Sachsen verschlagen. Während Tin International als Tochter der Deutschen Rohstoff AG nach Zinn sucht, soll Lithium Australia das ebenfalls im Boden befindliche Lithium fördern. Miningscout hat das Projekt Anfang Dezember 2017 besucht und sich einen Überblick verschafft. What is an Australian mining company doing in the middle of the Saxon province? In the case of Lithium Australia NL (ASX: LIT, WKN: A14XX2, ISIN: AU000000LIT3), the name says it all: Thanks to a cooperation with a subsidiary of Deutsche Rohstoff AG, the company specializing in lithium went to Sadisdorf in Saxony. While Tin International, a subsidiary of Deutsche Rohstoff AG, is looking for tin, Lithium Australia is expected to produce lithium, which is also in the soil. Miningscout visited the project in early December 2017 and got an overview.